This Japanese flower is blooming in Washington D.C.
It’s cherry blossom season! 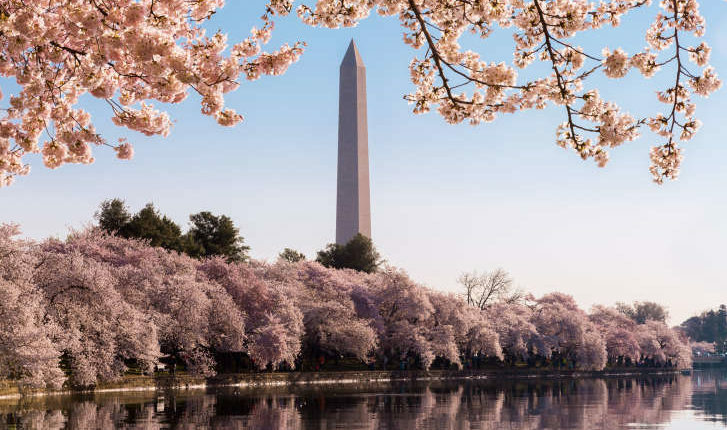 The national flower of Japan is expected to enter “peak bloom” in Washington D.C. today! Japan gifted the United States 3,000 cherry blossom trees in 1912. They have stayed and flourished in the capital city ever since. The inaugural National Cherry Blossom Festival started in 1935. And the festival has continued every year since. This year it began March 20 and will run through April 14. The festival celebrates the peak bloom period. Peak bloom is when 70% of the cherry blossoms are open. The temperature has a significant effect on the blooming. The warmer it is, the earlier they bloom. Japan gifted the United States 12 varieties of cherry blossoms. Two types are the most prominent though. 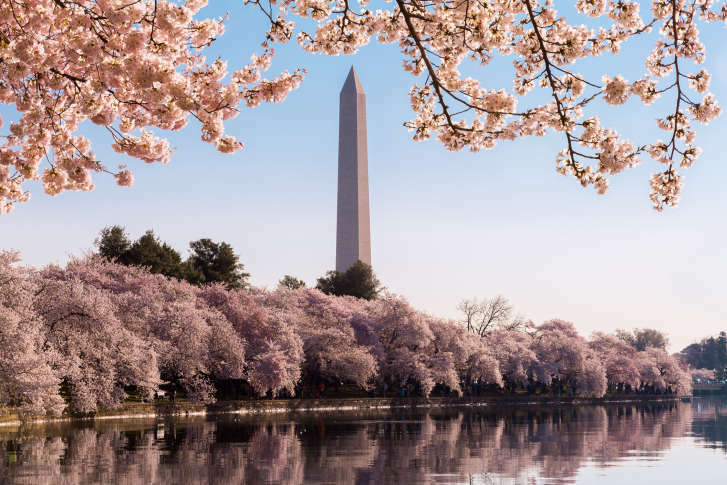 The Yoshino trees are situated close to the Washington Monument. Kwanzan trees are in the East Potomac Park area. Cherry blossoms in Nashville were just saved by public outcry too! 21 trees were to be cut down to make way for a stage for the NFL draft. 40,000 people signed a petition to save the trees. It worked, and now the trees will be uprooted and planted elsewhere in the city. The city and the NFL also agreed to plant an additional 200 cherry blossom trees! Do you plan to see some cherry blossom trees in peak bloom? Let us know in the comments!